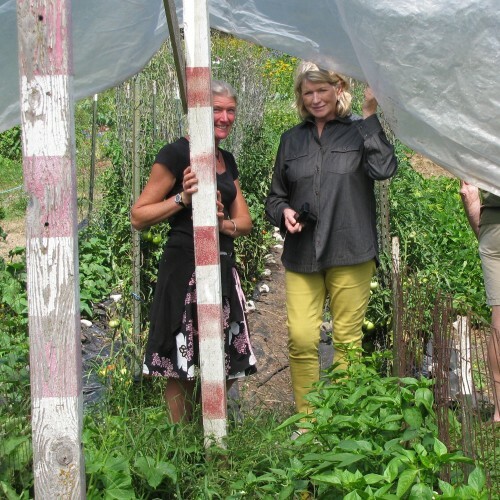 Martha Stewart tours Persephone Farm! 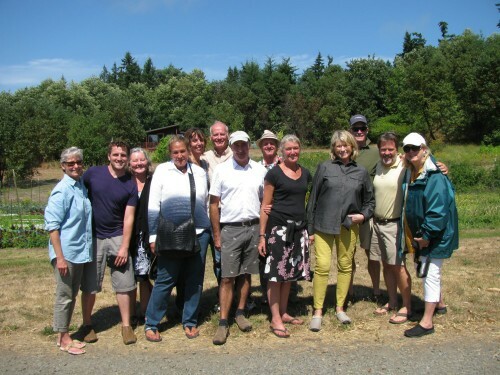 Last Saturday, Martha Stewart was in Indianola to attend a wedding reception for our mutual friends, Dan Hinkley and Robert Jones, founders of Heronswood Nursery. 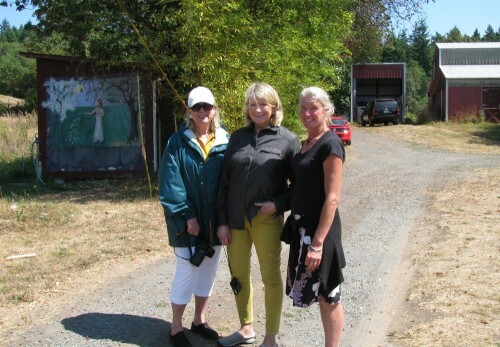 She dropped by Persephone Farm to see what we are all about. With an entourage of a dozen or so fans we strolled the fields admiring the height of the season flowers and vegetables. Martha knew the names of all the plants and we had fun comparing gardens, hers stretching from Bedford NY to Mt. Desert Island, ME. One of her personal gardeners was with us and he seemed to be taking lots of notes and shooting pictures. Who knows where this might lead? One place could be an Edible Seattle article written by longtime farm supporter, Abra Bennett. We’ll keep you posted on that. TV? That’s another story! When asked, “what are your favorite tomato varieties?” MS replied “Big Boy” and “Better Boy” . For the record, Rebecca’s favorites are Brandywine and Cherokee purple. She spied a fig tree pendulous with the largest figs either of us (or anyone else in the group) had ever seen. 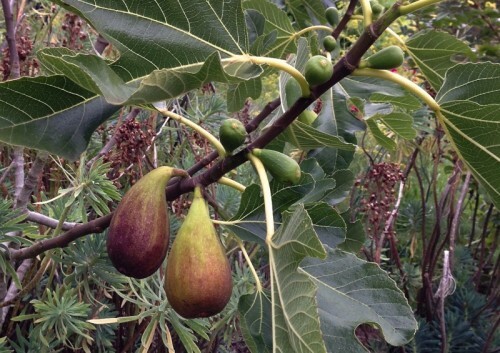 This is the 10 year old tree’s first year of fruiting, and she was the first to catch a glimpse of the huge fruits. No one could identify the variety. Can you?